Illustrated by Beatrix Potter (1866-1943). Her passion for the natural world lay behind the creation of her famous little books. A particular source of inspiration was the Lake District where she lived for the last thirty years of her life as a farmer and conservationist. 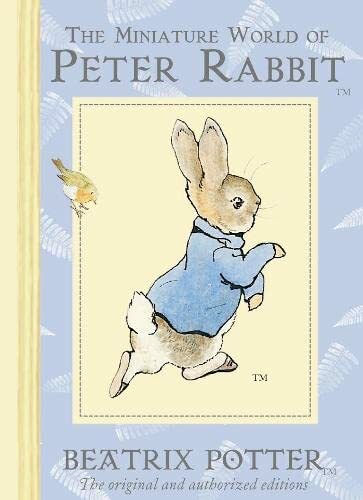 This is a decorative slipcase containing miniature versions of four favourite Beatrix Potter tales, "The Tale of Peter Rabbit", "The Tale of Benjamin Bunny", "The Tale of the Flopsy Bunnies" and "The Tale of Mrs. Tittlemouse".